In concussion injury claims, our experience pays. Concussion injury claims for compensation should be considered if you’ve suffered internal injuries that are caused by severe trauma to the head or brain and the concussion wasn’t your fault. Common causes can vary widely, ranging from road accidents and sporting activities to violent physical attacks or falling from height. The biggest danger of concussion injuries is that because they are internal they are not immediately discernible. The symptoms may or may not manifest immediately after the accident. If the symptoms are immediately clear, treatment can commence right away, increasing the chances of successful recovery. On the other hand, if the symptoms are not clear at the outset, the delay in commencing treatment can result in a bleak prognosis. Anyone who has sustained concussion injuries that were caused by a third person’s mistake or negligence may be entitled to compensation for their injuries. Road accidents include collisions between two or more vehicles or collision into a parked vehicle. Concussion injury claims could also occur if a pedestrian gets knocked down by a vehicle or in hit and run accidents. Cyclists and motorbike riders are particularly vulnerable on the roads because of the complete lack of any type of protective barrier between them and the road or other larger vehicles. Head and brain trauma are more likely to occur if the rider is not wearing any protective head gear, such as a crash helmet. Some sports, such as American football, rugby and real football, carry a higher risk of head and brain trauma. Players may suffer concussion injuries when they are tackled, suffer concussion when they head the ball or if the ball strikes them on the head. Anyone who suffers a blow to the head after a violent physical attack, either by a stranger or because of domestic violence, may also suffer from concussion injuries. The injuries that occur after a slip and fall could range from minor bumps and bruises to broken bones and concussion injuries. You are more likely to suffer severe brain trauma if you bump your head against a hard surface when you fall. Construction sites are notorious for workers getting injured after falling from height due to lack of safety measures, which in most cases could be grounds for making concussion injury claims. However fall from height injuries are not limited to construction sites. They can happen anywhere. If you fall from a great height, there is a high chance that you could suffer from head and brain trauma. There are numerous symptoms associated with concussion injuries and these vary widely. An injured individual may not experience them all at the same time. One person may experience just one symptom in the beginning and other symptoms may appear randomly or consistently after a period of time. Another injured individual may experience a combination of symptoms that keep varying in intensity and frequency. If any of these symptoms appear after any accident in which there was some impact to the head, it could be an indication of a concussion. The consequences of these injuries can be life-long and often require extensive treatment and care. A person who suffers concussion injuries may experience some degree of memory loss, which may be temporary or permanent. Some may be unable to create new memories after a concussion injury. Still others undergo drastic personality changes after any impact to the head. No matter what the exact consequences, the quality of life suffers tremendously. How Much Compensation Can I Claim For A Concussion Injury? What you can claim for and the compensation you are entitled to after a concussion-related injury will depend on the severity of the injuries, the cost of treatment and other expenses directly related to the injuries. Average compensation for a head injury and concussion that is a minimal injury is £1,675 to £9,700. Compensation for more severe concussion injuries including those that lead to severe brain damage can range from £11,650 to £307,000. Concussion injuries that have caused epilepsy and other such conditions, psychiatric and psychological conditions could also have these factors included into the compensation. Compensation for cost of treatment – This includes reimbursement for all medical expenses such as doctor’s fees, diagnostic tests, surgery, and long term physiotherapy if necessary. Compensation for medical costs – This takes into consideration the cost of travelling from home to the hospital or clinic for treatment of all injuries related to the accident. Compensation for general damages – All tangible and intangible factors such as pain and suffering, mental trauma and quality of life are considered under this category. Compensation for loss of income – This category takes into consideration the income you have lost from having to miss work due to your concussion injury. It also factors in any loss of benefits such as bonuses or promotional avenues. To get an experts opinion on how much concussion injury compensation you could claim we’d of course suggest contacting us right away as it’s better to start as early as possible so there’s less chance that important details get forgotten about over time. When filing a claim for concussion injuries, what is most important to keep in mind is that you must factor in any potential long-term care costs. For this you get a certificate from a medical expert detailing exactly what that care entails and how much it is likely to cost you. 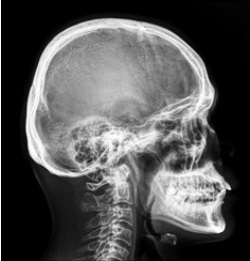 Winning a concussion injury claim and getting the compensation due to you is not easy. If you forget to include any costs or claims, you could forfeit thousands of pounds by way of the award that you are entitled to. The single best way to ensure that you get every penny due to you is by contacting a concussion injury personal injury solicitor. The good news is, you can get the legal help you need from our experienced personal injury solicitors without having to pay any fees at the outset by signing a clearly explained No Win No Fee agreement. With an agreement like this in place, you can focus on recovering from your injuries while the solicitor takes care of all the legal aspects. You will pay a set percentage of the compensation awarded to you towards legal expenses only if the case is successful. This agreement ensures that you benefit from the solicitor’s experience and expertise without being out of pocket at any time, so please get in touch with us and get your concussion injury claim started today.